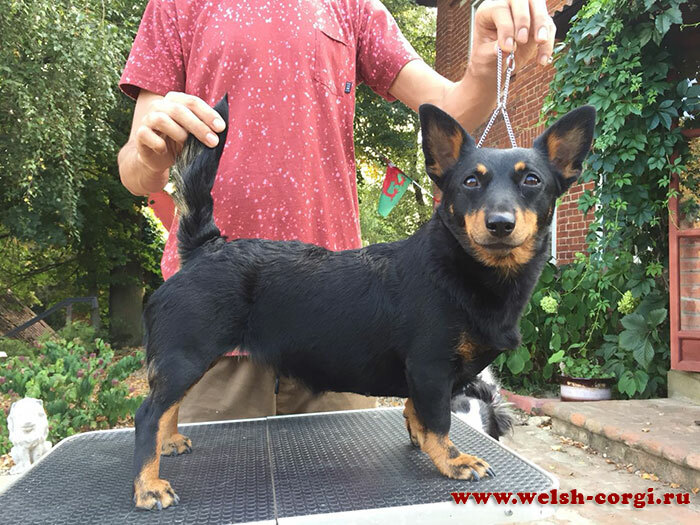 Welcome to the welsh corgi cardigan and lancashire heeler kennel Zamok Svyatogo Angela! 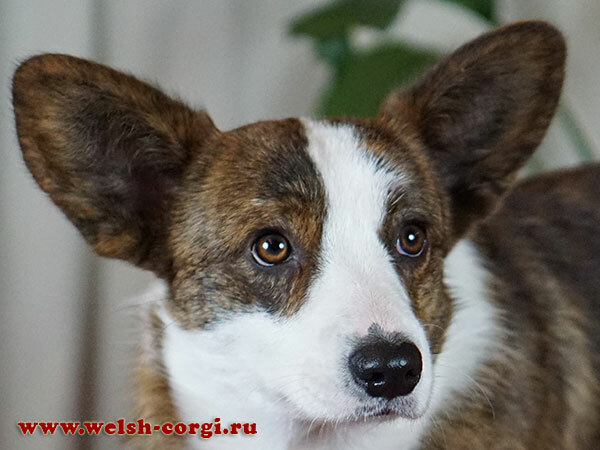 I don't want to offend owners of other breeds of dog, all dogs are fine without exception, but I wish to tell about my dogs and about my love to amazing breed welsh corgi. We don't set as the purpose advertising of this miracle dogs, we simply wish to share a piece of our love and pleasure of life with this dogs. 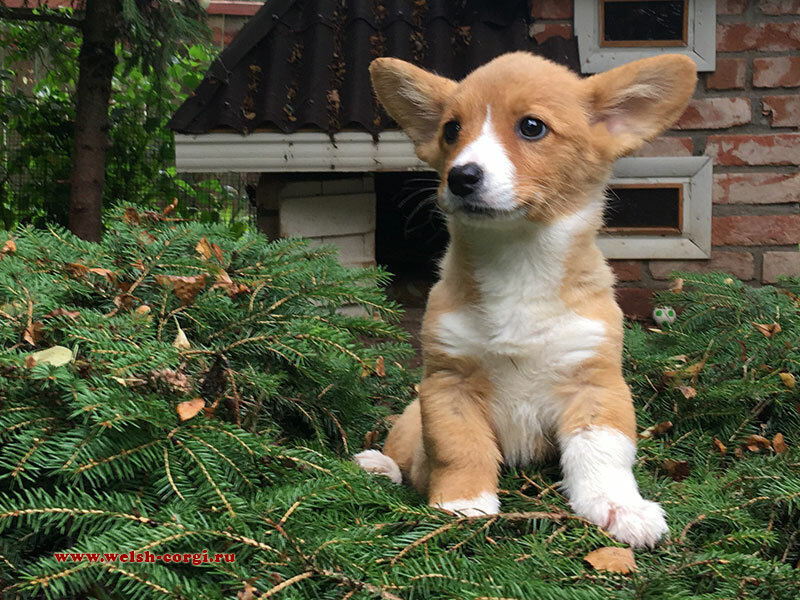 Not only corgies live in my house and dreams of some breeds don't leave me, but meeting with corgi has changed my sight at dogs basically. 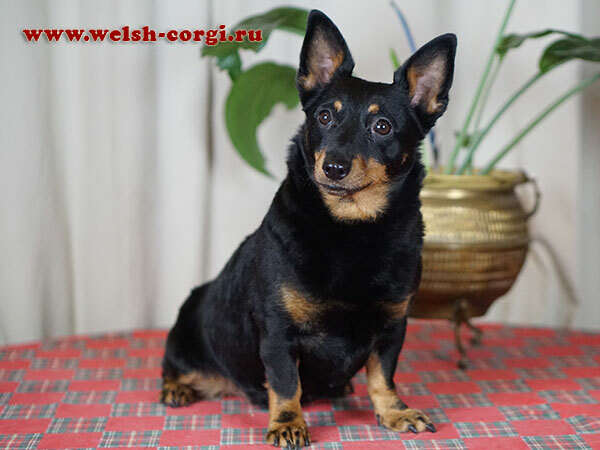 On 2014 I brought from England another excellent breed — lancashire heeler «made» out of welsh corgi and manchester terrier! 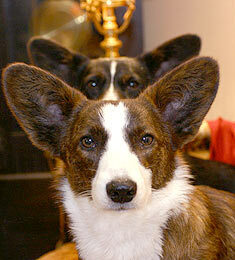 I hope to bring to you through the website my feelings of both of these breeds. 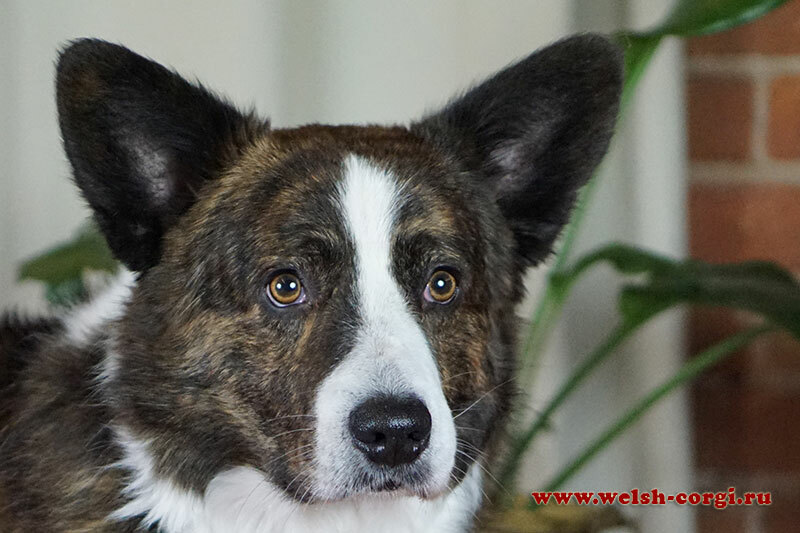 So, let's start our story about my corgies and heelers and their children! 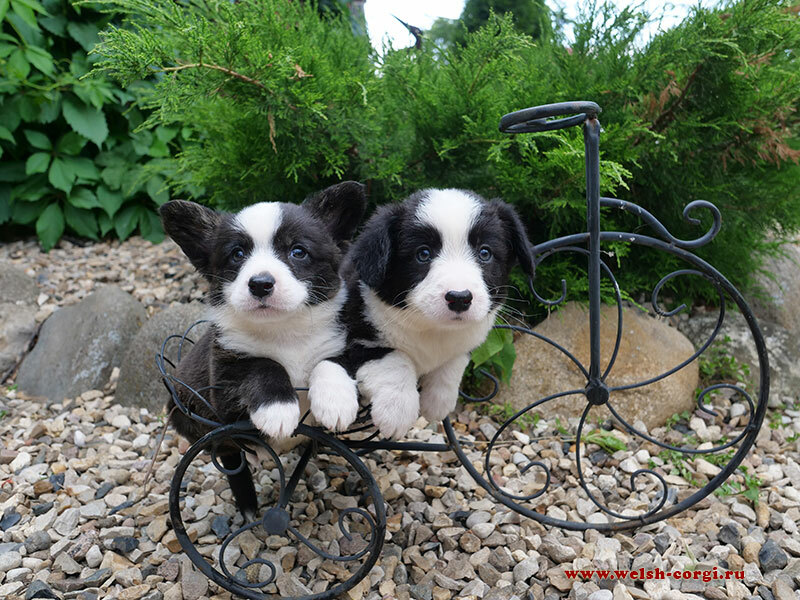 On the 13th of October we've got the excellent gift — 7 cute welsh corgi cardigan puppies! We have 1 red&white girl, 4 brindle girls and 2 brindle boys! The Mother of the puppies is Cavva (Zamok Svyatogo Angela CAVVA), the daughter of our Ava and Osya, grand-daughter of our Avvochka, Zhuzha and Klim! 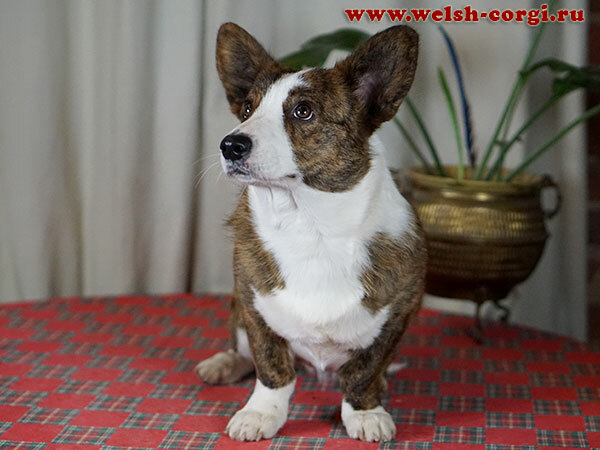 And the Father is brindle buddy Corgi Na Volge ARUS. The babies have grown enough for the first pictures and are looking for the best homes! 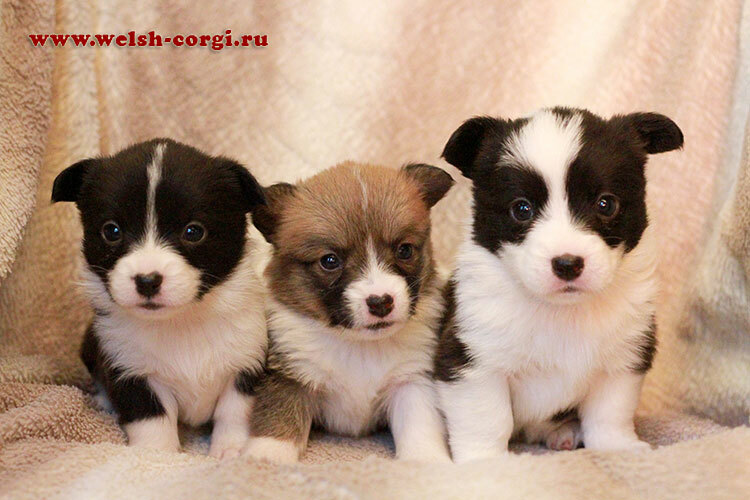 Please, find the pedigree and all pictures of the puppies on the page of «J» litter. All puppies are in th new homes now! We are waiting for the new babies. 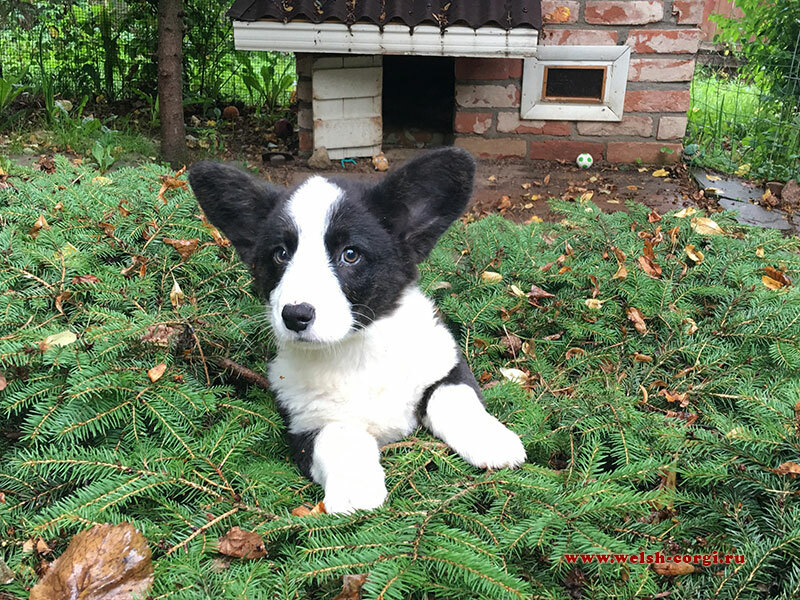 So, if you are interesting in the puppy from us, please, follow our news! 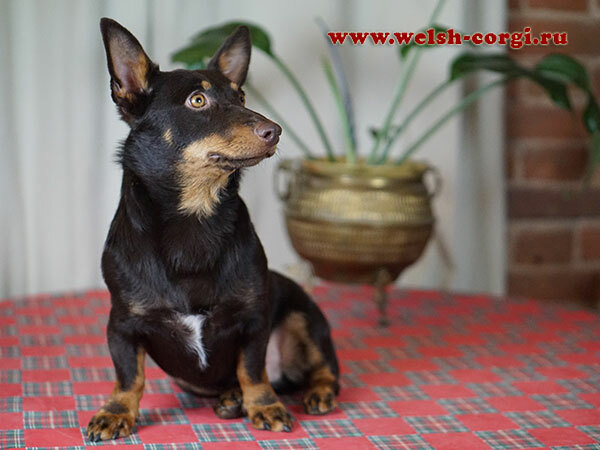 Very handsome dark brindle boy Eremei is waiting for the best owners! 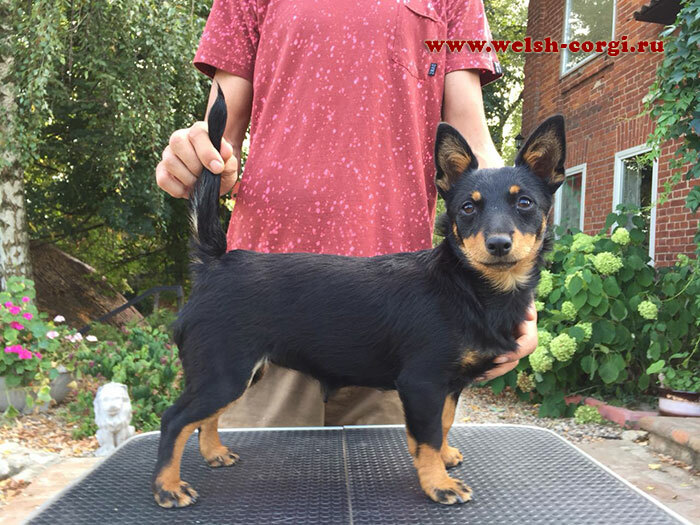 Please, find the pedigree and more pictures of the baby on the page of the litter. 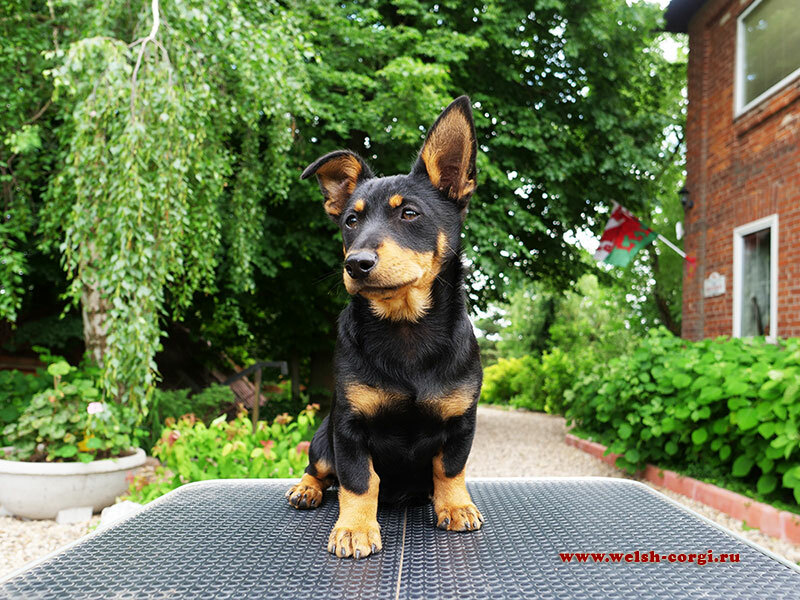 We've done new pictures of our Lancashire heeler puppies who are waiting for the best owners! 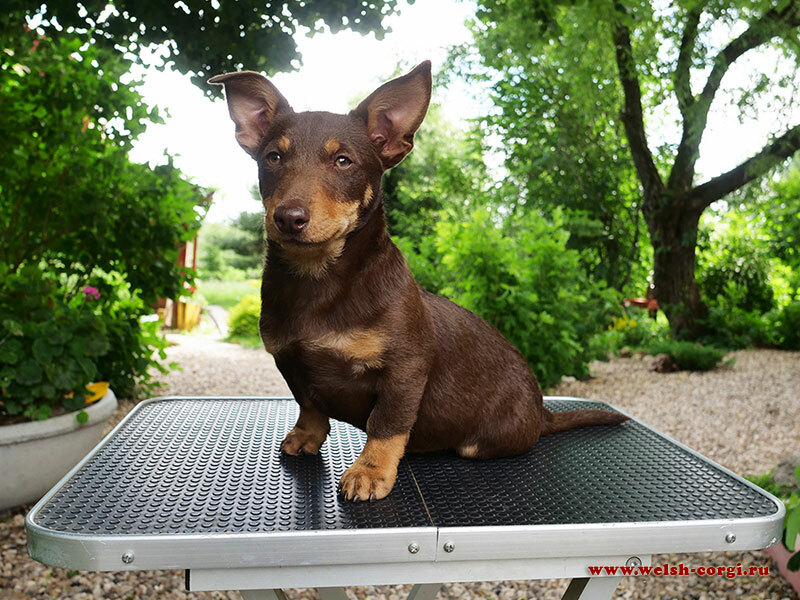 Please, find the pedigree and more pictures of the babies on the page of the litter. 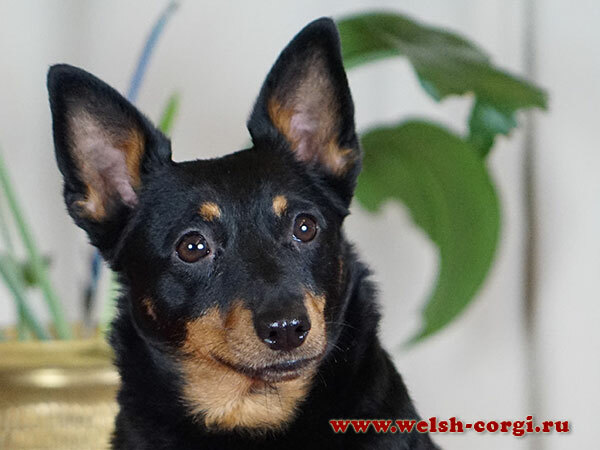 Also, we have new pictures of the Mom of these babies lancashire heeler Eva (Swanndale HAPPY TIMES). Please, find more pictures in her Photoalbum. 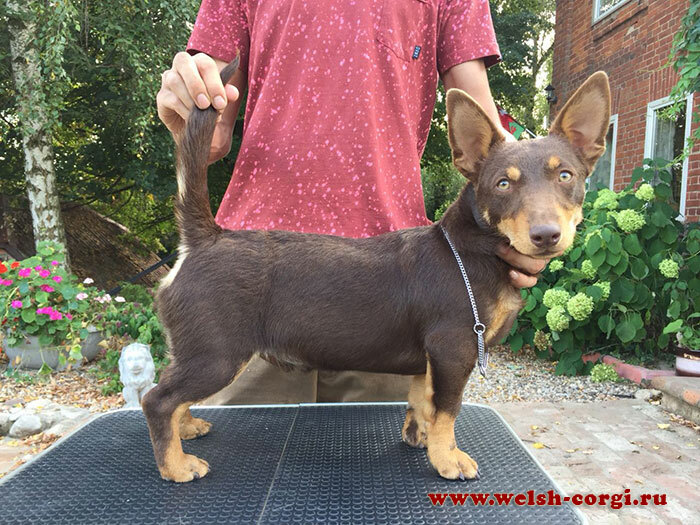 Dark brindle boy Eremei and red&white girl Ella are looking for the owners! 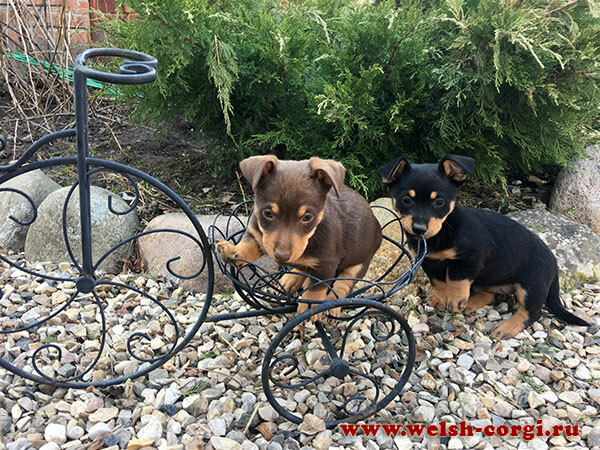 Lancashire heeler puppies brown&tan boy DUNKAN and black&tan girl DOLLY are waiting for the best owners! Brindle boy Eremei, red&white boy Elisei and red&white girl Ella are waiting for the best owners! 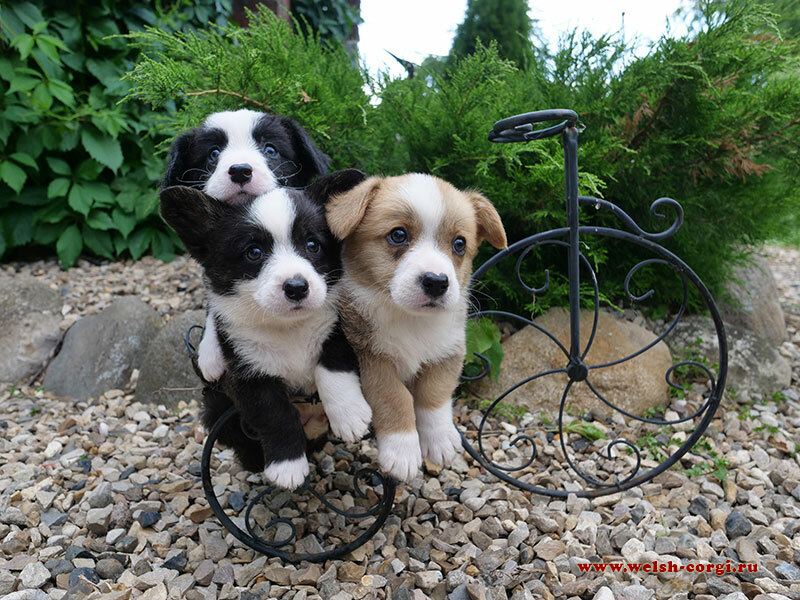 Puppies were born on 26 of April. 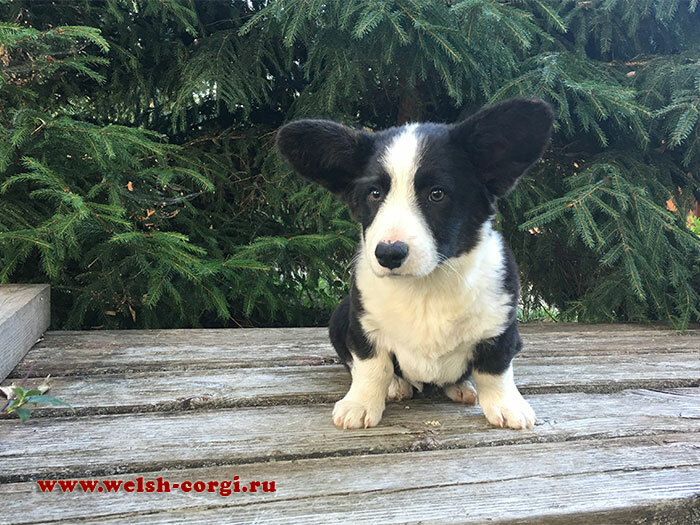 We have brindle and red&white welsh corgi cardigan puppies born on 26.04.2018! The father of the babies our Klim (Zamok Svyatogo Angela SIMON) and the mother is Harra (Zamok Svyatogo Angela EVA)! For all information please call +7 (903) 208-60-90 or watsapp! 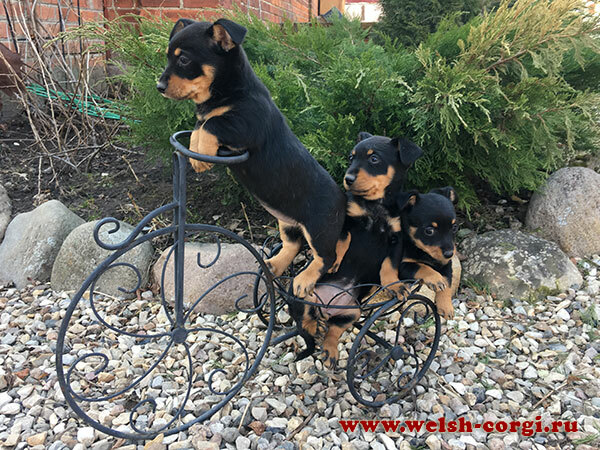 We have lancashire heeler puppies! 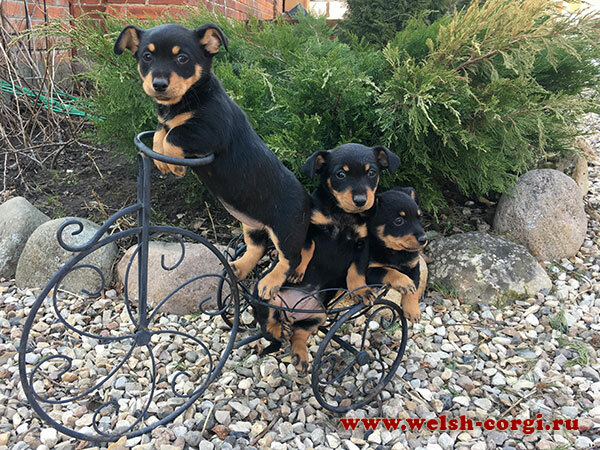 On the 28th of February our Eva (Swanndale HAPPY TIMES) gifted us with 4 cute babies (1 brown&tan boy and 3 black&tan girls)! 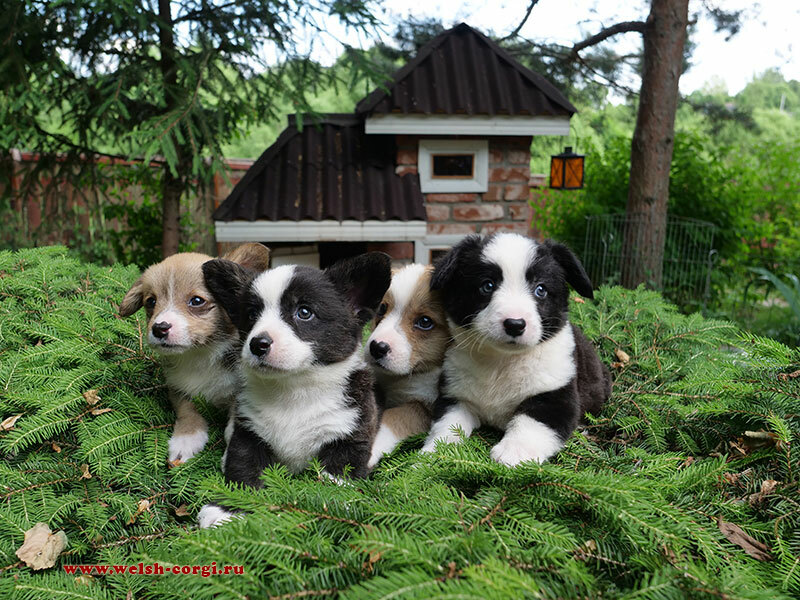 The father of the puppies is Mongrel's ADMIRAL DUNCAN from Sweden. 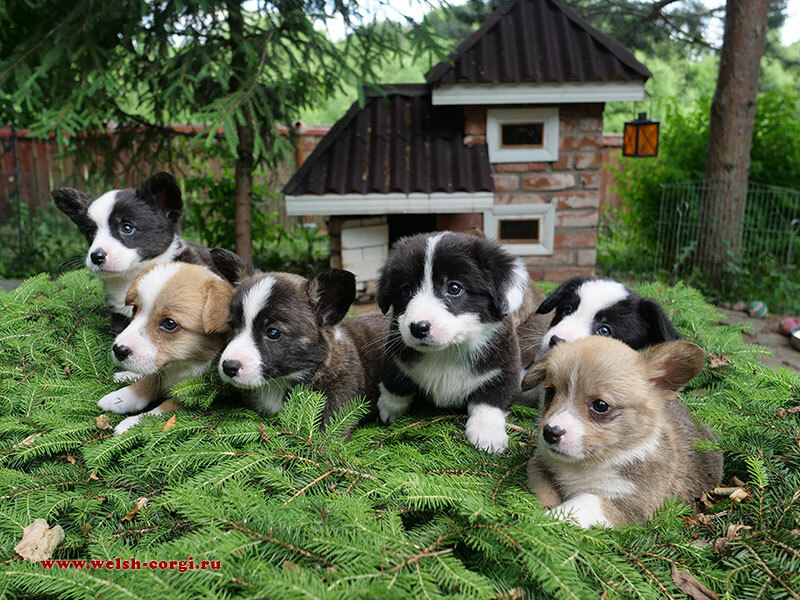 All welsh corgi caedigan puppies are in the new homes now. Zamok Svyatogo Angela GELLA stay in the Kennel. At last, our Harra (Zamok Svyatogo Angela EVA) got her personal page. Please, meet our brindle beauty! 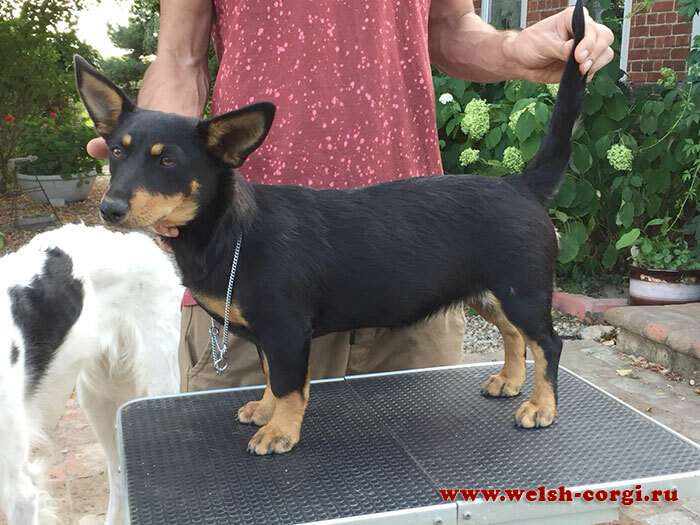 Also, we put the new ictures of our lancashire heelers Eva (Swanndale HAPPY TIMES) and her son Eli (Zamok Svyatogo Angela AVRAAM)! Please, find all pictures in photoalbum of Eva and photoalbum of Eli. 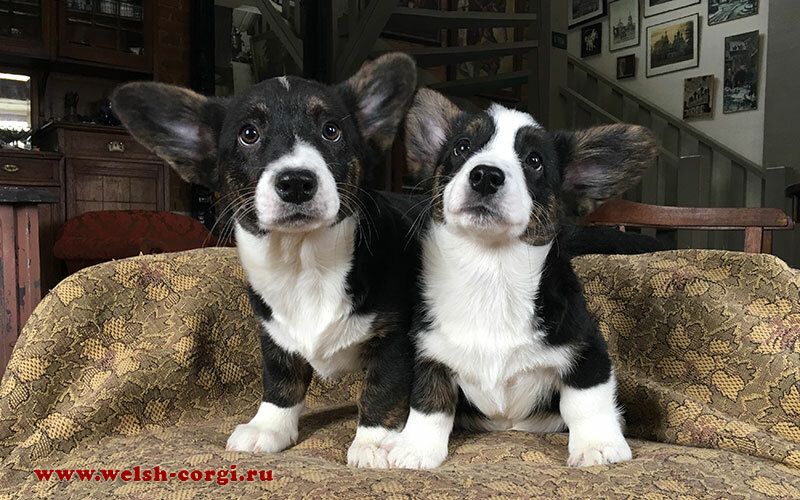 2 brindle tricolor welsh corgi cardigan girls (Zamok Svyatogo Angela SIMON x Zamok Svyatogo Angela HRISTINA) are waiting for the best owners! We have their new pictures at the age of 3 months. 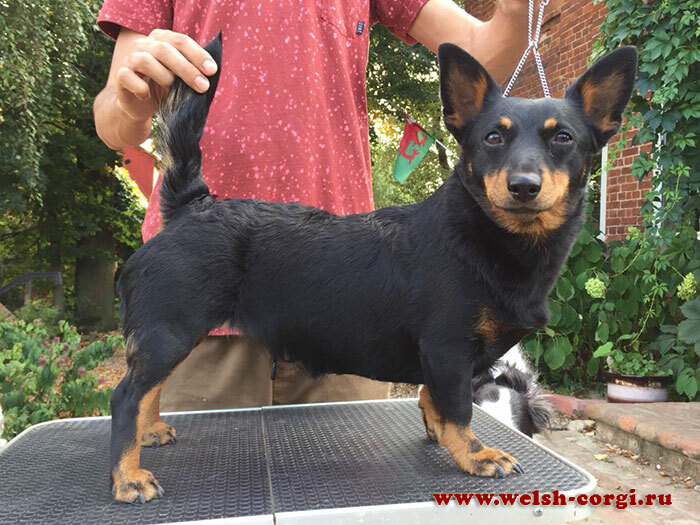 Please, find the pedigree and all pictures of the babies and their ancestors on the page of the litter G.